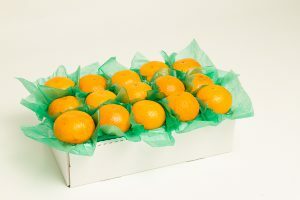 The Ortanique orange is a unique cross between an orange and a tangerine. Folks called it the unique orange, which has since evolved to Ortanique – a blending of orange and unique. Ortaniques are super sweet, amazingly juicy and mouth-watering!